REGENCY "CHOCOLATE" WITH SELF-WELT, SELF-BUTTONS, GOLD TACKS, AND DARK WALNUT LEGS. Just because you weren't born into royalty, doesn't mean you don't appreciate the finer things in life. 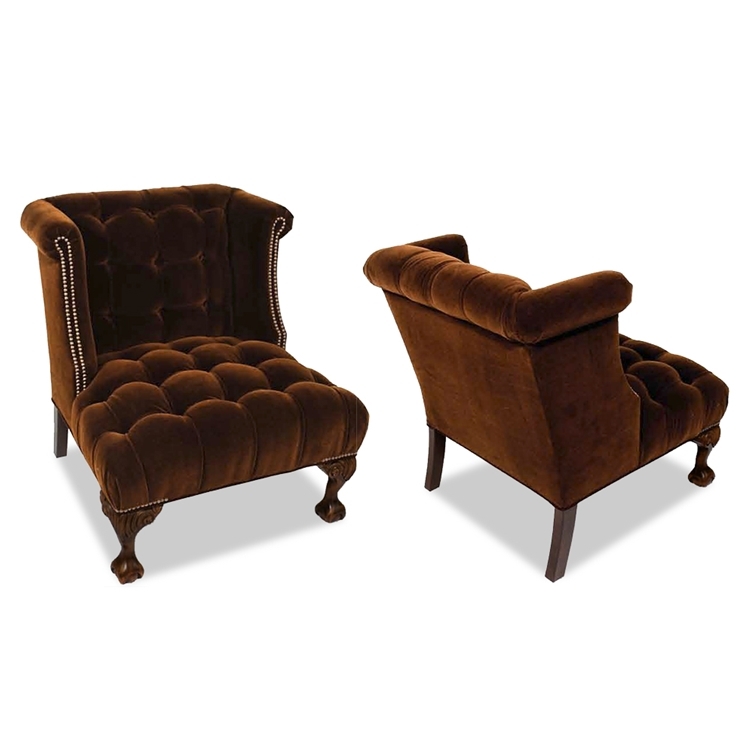 Fashioned in a creamy, melt-in-your mouth not in your hands, chocolate velvet upholstery, this Amsterdam chair is more than majestic, it's magical. Customize any Haute House Home piece to your liking. Item sold as shown online. Boxed weight is approximately 60 lbs. Call 323.256.2800 for custom options.